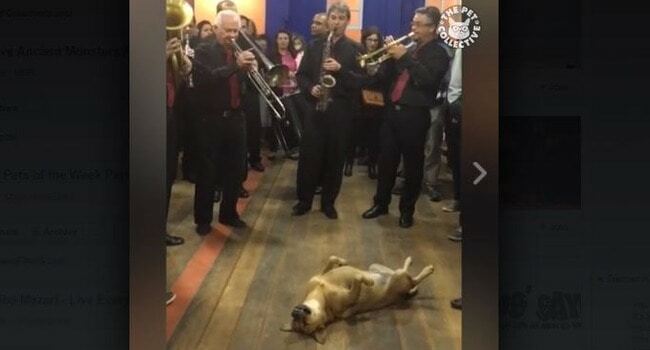 Would Your Dog Sleep Through A Live Band?! 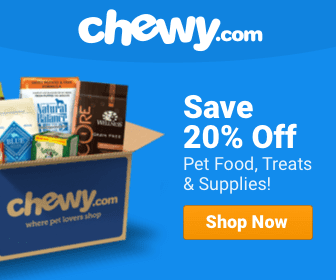 Hilarious round-up of funny pets and their people will have you smiling for sure. 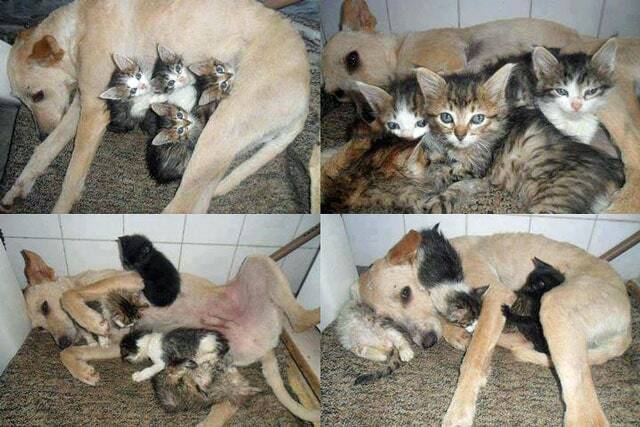 “We let Mika smell them. She quickly stood over and ‘guarded’ them from everyone else, letting them know these were her babies,” Lauren Gaddis explained. 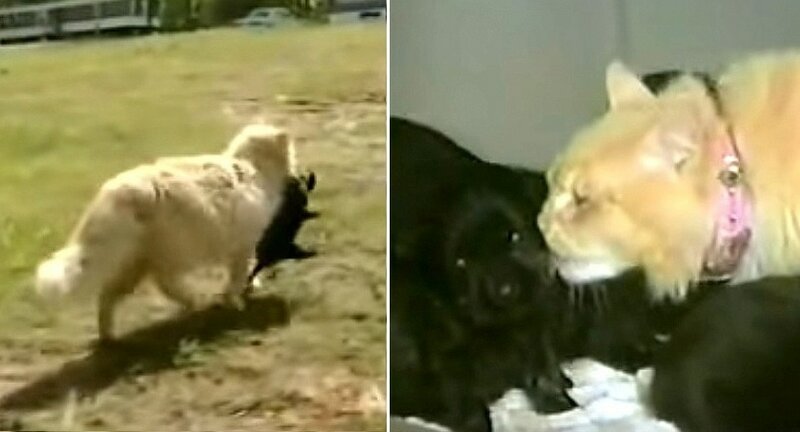 Miss Kitty carried each of the unwanted cocker spaniel puppies over to her den under a trailer, and bit anyone who tried to take them away from her. 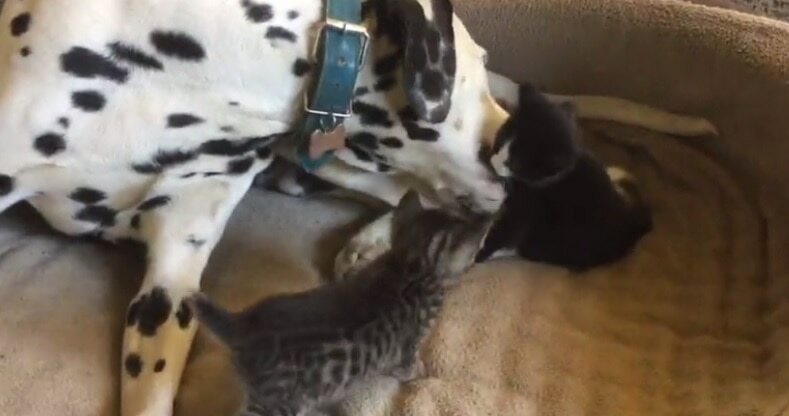 Louie seems to take his new job babysitting for a bunch of rescue kittens that his humans are fostering very seriously. 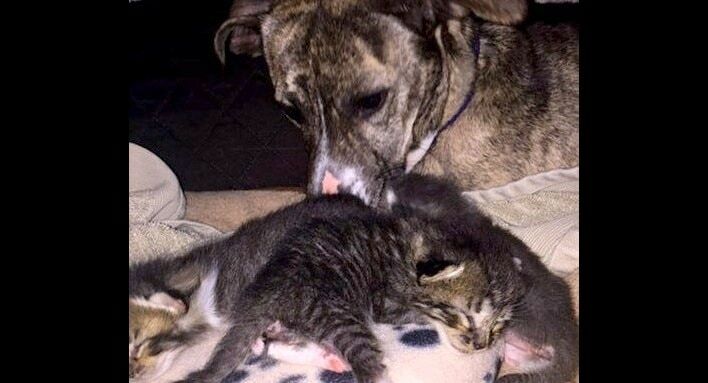 A dog donated blood to a pair of kittens that were found abandoned in a yard in California. 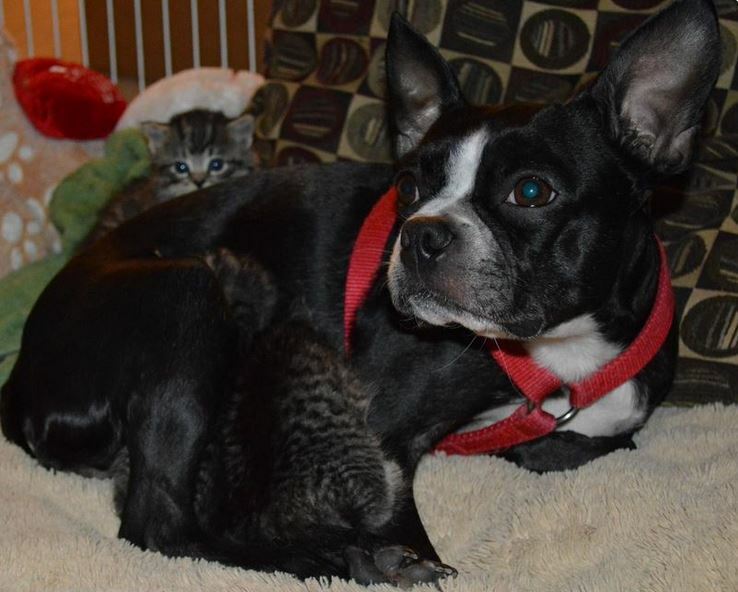 A Boston terrier dog from South Carolina surprised her petmom by adopting and nursing a litter of orphaned kittens. 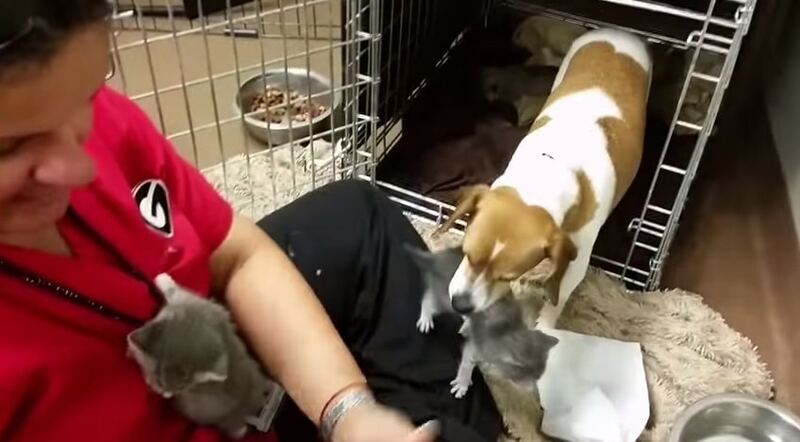 A little dog nursing one puppy of her own was compelled to adopt a litter of orphaned foster kittens when she heard their cries. 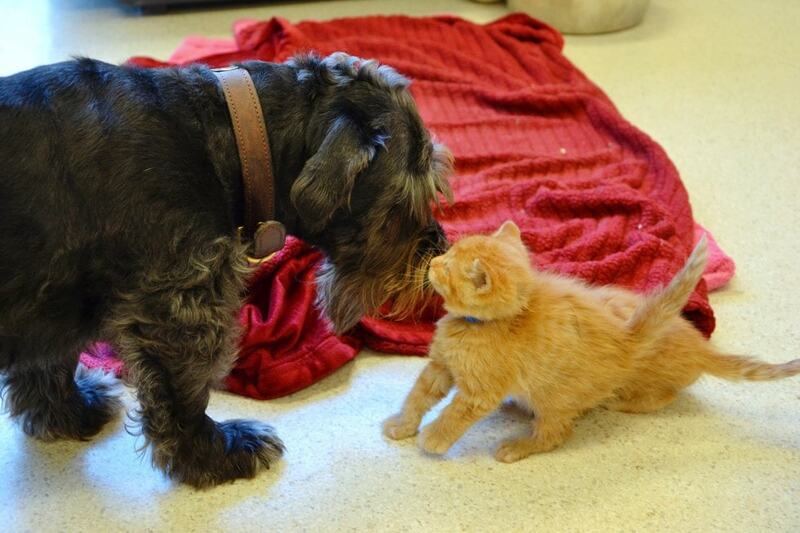 Banzé, or Scamp, heard the cries of the kittens coming from a box on a trash pile. He gingerly tore the box apart and carried them one by one to his new home. 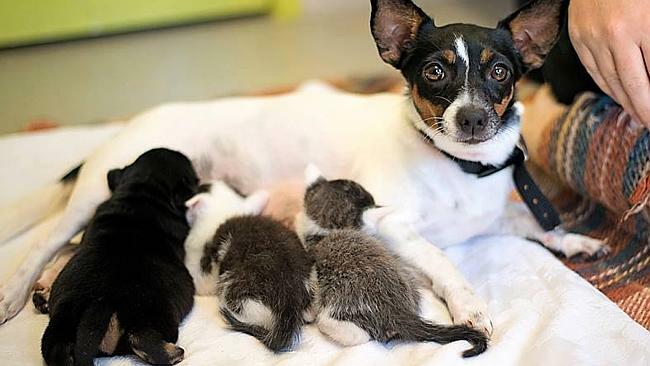 Zelda is a little dog who immediately adopted two 5 day old kittens when they entered her home as fosters. 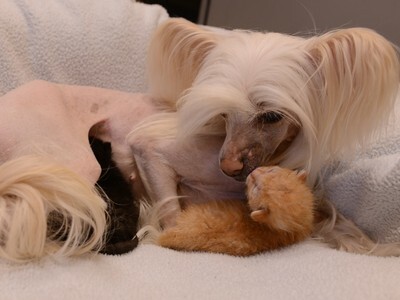 Zelda does her part to make the babies feel loved.